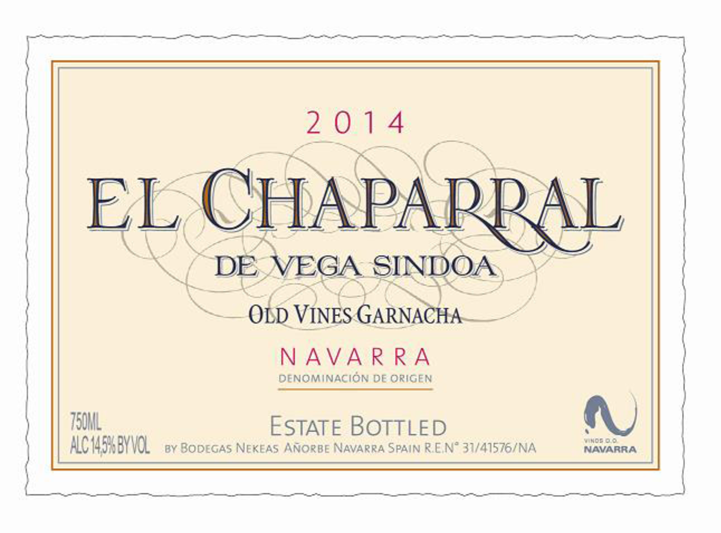 El Chaparral is named after a small Spanish oak tree called Chaparro that surrounds the area where the vineyards are found. The grapes for this wine come from Garnacha vines planted between 1890 and 1930. The 40.8 acres of vineyards are divided into 40 small parcels planted in the vaso system. The grapes are hand harvested, then macerated for 30 days, and fermented for 7 days. Malolactic fermentation takes place in 100% French oak barrels, followed by aging on lees for 5 months. Alive garnet colour. Juicy and spicy on the palate with red fruit and black pepper flavors. Accents of coffee and mineral. Elegant, fine and delicate but supported by firm tannis. A very Atlantic style of Garnacha. Pairing(s): A good accompaniment for a wide variety of dishes, its true qualities come to the fore with red meat, game and roasts.